The zombie walk has come back to Strasbourg! 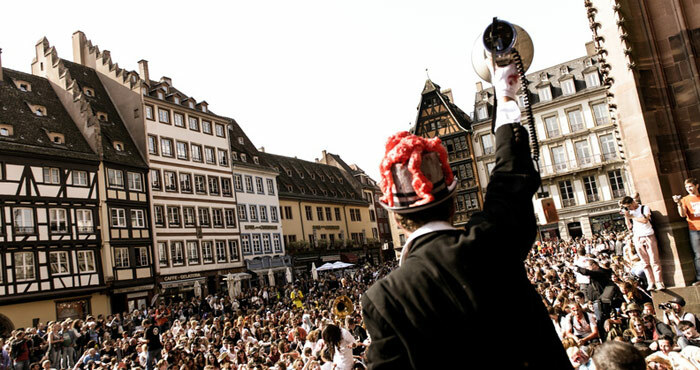 Assemble at Place Kléber to get made up with our make-up artists before walking through the streets of the city centre accompanied by a brass band from the hereafter. This year, on the occasion of the tribute paid by the Festival to John Landis, the director of the clip Thriller, we’ll have you all dancing to the music of Michael Jackson before you move off, so don’t forget your red Perfecto!